50 years ago, Sir Richard Branson started his first business. 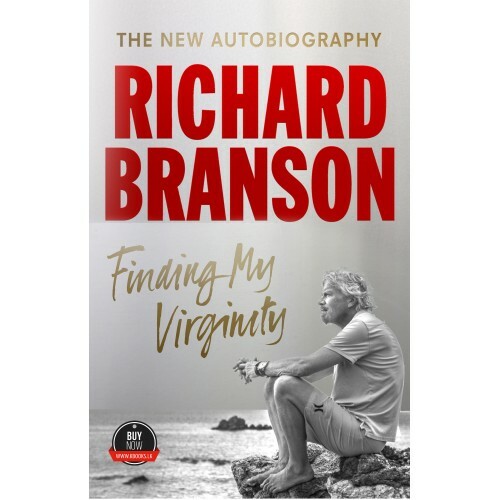 In his new autobiography, Finding My Virginity, the Virgin Founder shares his personal, intimate thoughts on five decades as the world's ultimate entrepreneur. 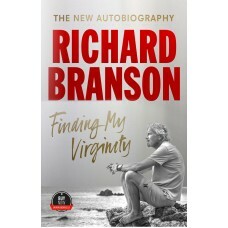 In Finding My Virginity, Sir Richard Branson shares the secrets that have seen his family business grow from a student magazine into a global brand, his dreams of private citizens flying to space develop from a childhood fantasy to the brink of reality, and his focus shift from battling bigger rivals to changing business for good. Following on from where bestselling Losing My Virginity left off at the dawn of the new millennium, Finding My Virginity takes the reader on a rollercoaster ride with the enigmatic entrepreneur. Learn how Branson created 12 different billion dollar businesses and hundreds more companies across dozens of sectors, going from a houseboat to his own private island. But this book goes far beyond the numbers - it is a journey into the heart and mind of Britain's best-loved businessman. 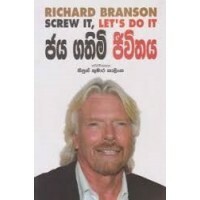 Join Sir Richard as he juggles working life with raising his children Holly and Sam, building a marriage with his wife Joan and creating a unique company culture. Discover how he created a new life on Necker Island, while continuing to grow the Virgin brand into all corners of the world. Get the real story behind adventures and run-ins with everyone from Bill Gates and Kate Moss to Nelson Mandela and Barack Obama. Go behind the scenes as Sir Richard Branson creates the world's first commercial spaceline, Virgin Galactic, and handles the biggest crisis he has ever faced. Get under the skin of world record attempts on land, sea and air, and see how the original business hippy adapted to becoming a doting `grand-dude' to his four grandchildren, Eva-Deia, Etta, Artie and Bluey. This is the true account of how the Virgin Founder reinvented himself and his brand for the 21st Century, while continuing to push boundaries, break rules and reach for the stars in more ways than one. This is the story of the man behind the beard, the business, the bravado and the brand. Find out how the ultimate entrepreneur did it for the first time - all over again.